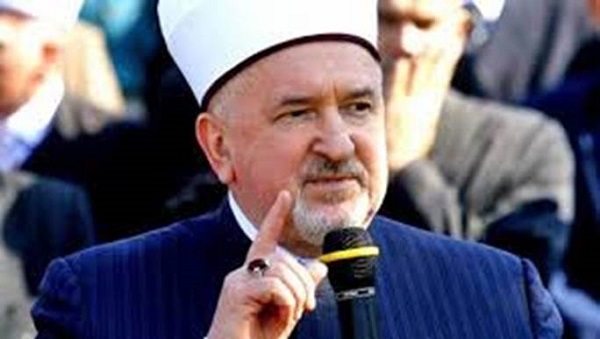 GRAND MUFTI EMERITUS OF BOSNIA H.E. DR. MUSTAFA CERIC: NEVER AGAIN!!! Kindly allow me to share this moving piece by Mustafa Ceric. He has kindly given us permission to share in each of our respective networks. 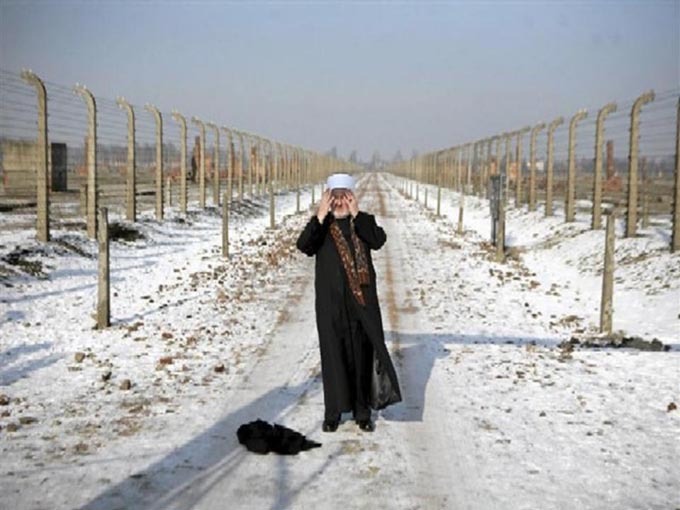 Ten years ago (2009), on this very day (27 January), I visited Auschwitz in the capacity of the Reisu-l-Ulama of the Islamic Community in Bosnia and Herzegovina and the Grand Mufti of Bosnia and in the organization of the Aladdin Project under the patronage of UNESCO. The Aladdin Project was initiated by the Paris-based Shoah Foundation with the aim of preserving the memory of the Holocaust and condemnation of its deniers. The then Mayor of Sarajevo, Alija Behmen was with us, among others. 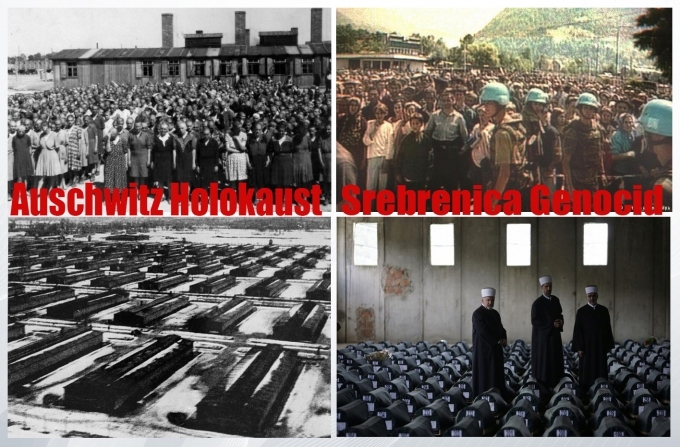 They, the Jews ”Once Again” experienced the Serb genocide against Bosniaks - Muslims as their own pain and their own suffering that had been inflicted on them by the Holocaust. That is why I felt the need to invite the renowned New York Rabbi, Arthur Schneier to join us and address us on 11 July 2012 in Potočari, just like I had addressed the attendees at the Memorial in Auschwitz. In his own words, this was the most emotional address he had given in his life, and the most convincing testimony that the Holocaust against the Jews and the Genocide against the Bosniaks had shamefully marked the 20th century. That is the reason why the Bosnaiks must commemorate the 27th January in Auschwitz in the same way as they commemorate the 11th July in Potočari. Indeed, out of the feeling of love for truth, justice, peace and reconciliation, we need to take this opportunity to imagine and dream, on this day (27 January) of Remembrance of the Holocaust in Auschwitz, the day when – and I pray to God Almighty that the Roman-Catholic Pope, the Patriarch of Constantinople, the Grand Sheikh of al-Azhar and the Chief Rabbi as well as Mawlana Sheikh Abdullah bin Bayyah will get together on 27 January in Auschwitz and 11 July in Potočari to take an oath - before the Almighty God and the before entire mankind - that the Holocaust and Genocide shall happen Never Again, Nowhere Again, and Against No One Again. That would be a Millennial Event and the true implementation of the Old, the New and the last Testament of Ibrahim’s tradition, that says, ”whoever kills an innocent person, it is as though he has killed all mankind, and whoever saves a human life, it is as though he has saved all mankind”.